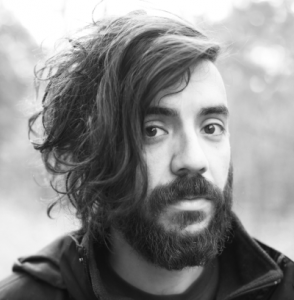 Wednesday, February, 28, 2018, 7:30 p.m.
Kaveh Akbar is the founding editor of Divedapper. His poems appear in The New Yorker, Poetry, American Poetry Review, Tin House, PBS NewsHour, The Poetry Review, and elsewhere. His debut collection, Calling a Wolf a Wolf, will be published by Alice James Books in Fall 2017. He is also the author of the chapbook Portrait of the Alcoholic. The recipient of a Ruth Lilly and Dorothy Sargent Rosenberg Fellowship from the Poetry Foundation, a Pushcart Prize, and a Lucille Medwick Memorial Award from the Poetry Society of America, Kaveh was born in Tehran, Iran, and is a Visiting Professor in the Purdue University MFA program.